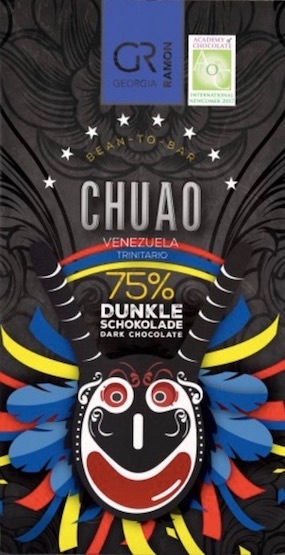 A new round of the world's chocolate flavorista (yes, now that socialism is so über oo-la-la Neiman Marxist chic) -- Zotter. Labooko represent the deadpan connoisseur-level bar line; while Hand-Scooped fondants pack the fun (though no one should kid themselves that they're any less than high gastronomics). Many might think it sacrilegious for Joe Zotter to consider his chocolate like his children. After all, his own daughter vaults up an ace barsmith herself. Nah, given how he & she tend to a menagerie surrounding their chocolate factory (literally), their bars are more akin to pets. True, Theobroma cacáo, a tree, belongs to the plant family. So, yes, phyto-pets. Raised with lots of good-luvin'. Each nurtured individually. Some caressed for 20 hours in the conche. Others administered a vigorous 5-hour treatment in line with Rolfing techniques (pity choc makers who wait 50+ hours on their conche!!!!). All of them optimized, potential realized, chocolate fruition. If kids everywhere only received such parenting. Maybe then the world could be a better place. Mothers, after breast-feeding, can do worse than giving their babies Zotter Chocolate. 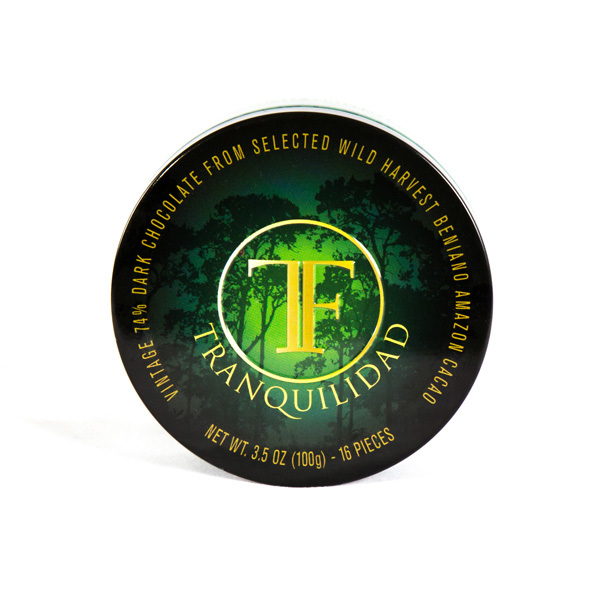 Seriously wholesome: organic, fair-trade, significantly handmade. Sure beats infant formula. Superb dynamism & range. Acidity blaring yet cuffed by lipids & aldehydes as the biocompounds in this cacáo run replete with splendor. Outstanding. Mist roasting may contribute to the sheet rock moulding tags. Otherwise a generous & formidable bar of mid-heft weight. Zotter no stranger to Brazil, & Pará in particular. This bar demos experience. Definitional balance. Fortitude & grace. A chocolate without a weak spot. Chocolate bullseye. For those seeking the uncomplicated. Simple but not easy (don't try this at home or at Hershey's). More akin to a West African cocoa than a Congo. No major overtones seen in, for instance, OB’s Virunga from the same origin. Or Zotter's first release in 2011. Those owe to a different region in the country as well as supplier. The advertised “berries”, “red grapes”, “wine” in the liner notes never materialize. 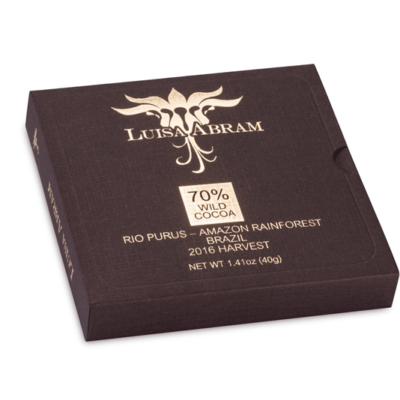 Instead a solid, fairly centerpoint chocolate with spice & brown fruit notes. Nothing wrong with that… at all. 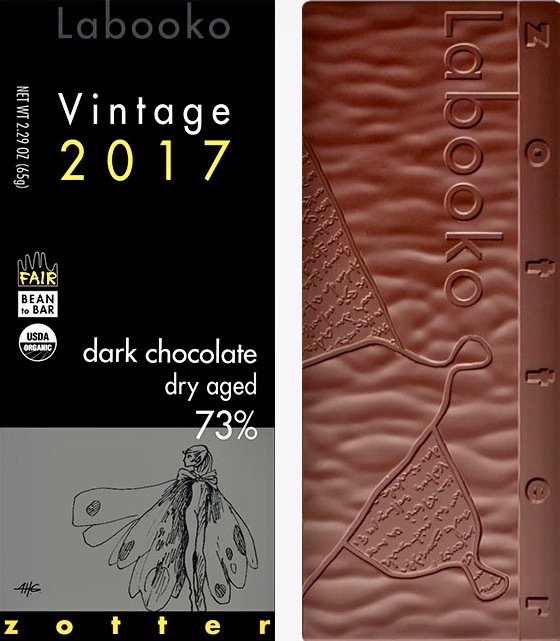 Vintage Chocolate – a topic covered in the C-spot™ years ago, inaugurated arguably by Valrhona’s 2002 Chuao & advanced most assiduously as of late thru To’AK’s experiments. This bar dry-aged for over a year to an eloquent reserve. No brash jags, only a confident repose that belies a super-blend from 5 origins. Masterful in its seamless confluence. Lemon Mousse -- mountain Milk Chocolate as only Alpine cows deliver filled with lemon cream further buoyed by a splash of grappa!! Savory excellence (that’s right, savory because Zotter works in magical ways) that deserves a place in the annals of great desserts even if it technically (who cares?) isn’t one. Zotter at the top of their game. Which pretty much translates to the top of THE game. A collection that can do no wrong. Yeah, the Hand-Scoops twee sweet (recipes could back off the sugar some, the first ingredient on the list) but still shy of agitating the dentist's drill. More than fantastic, their flavor combos roll up into portable edible fantasies. Other than that, the only quibble would be the no doubt environmental friendly adhesive Zotter uses on its wrappers which stick with all the force of super Gorilla Glue™. Tough to tear these open if afflicted with rheumatoid arthritis.